Measures 3.5" SQ x 34.5"H.
Features a 7.5" trimmable top block and 5.75" trimmable bottom block for easy installation to an apron or cabinet. Inspired by the simplicity of Asian design, the Bamboo column features symmetrical rings designed to mimic real bamboo. 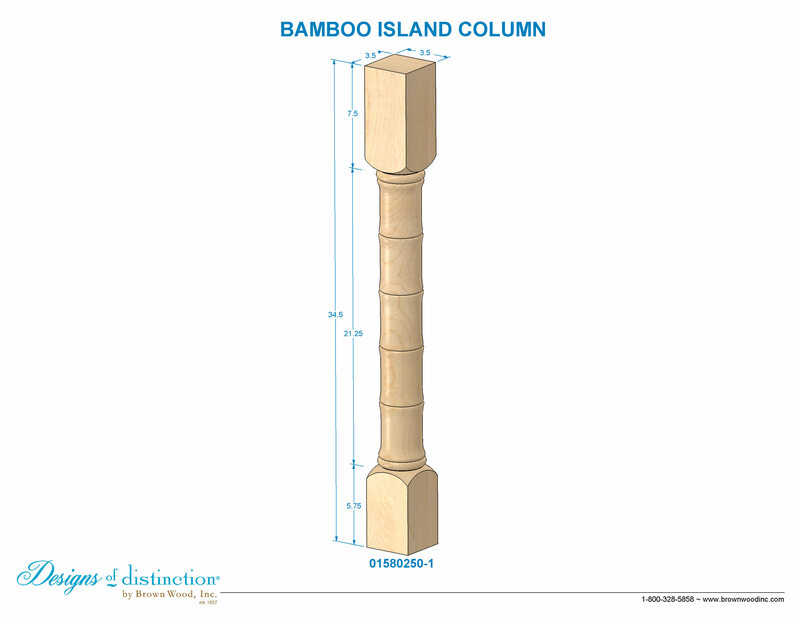 Modify the length, look, and application of your Bamboo Style Column by choosing one or more Add-Ons. Shop more of this look in the Pacific Rim Collection.